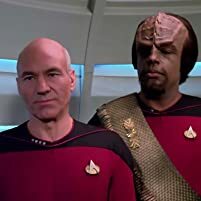 Picard awakes to find himself living in a small village where he is a well-known member of the community who is suffering from a delusion of being a starship captain. 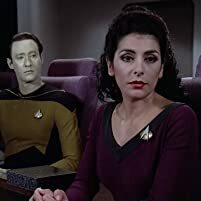 Having absorbed Captain Picard and his knowledge, the Borg head for Earth, leaving Riker and the Enterprise desperate for an unanticipated way to defeat them. How many episodes of Star Trek: The Next Generation have you seen? Capt. Picard: [recorded by an alternate Picard from six hours into the future] Captain's personal log... supplemental. I have just witnessed the total destruction of the USS Enterprise with a loss of all hands - save one... me. Q: Who is the captain of the USS Enterprise? 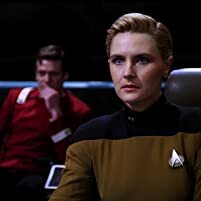 Q: Did any cast members of the original Star Trek series appear in The Next Generation? 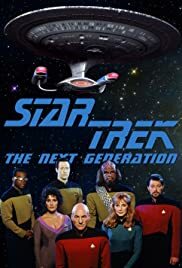 People that watch science fiction seem to forget that Star Trek: The Next Generation was filmed from 1987 to 1994, and that it accomplished the breakthrough technical wizardry we now see in other sci-fi movies and television shows. It was Star Trek: The Next Generation (STTNG) that accomplished the "orange screen", reducing by 2/3 the cost of shooting space sequences. 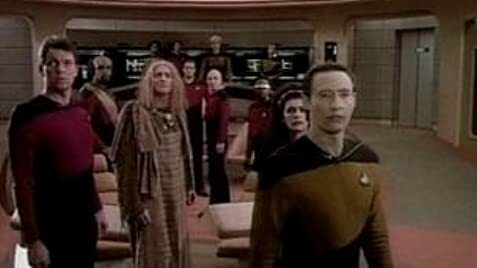 It was STTNG that finally allowed for a very advanced and yet BELIEVABLE "evolved" human behavior involved in space travel. I admired Captain Jean-Luc Picard for his reserved Brit style, and the tension between him and Dr. Beverly Crusher. Who did not like watching Lieutenant Commander Data and Lieutenant Geordi LaForge spar over human behavior? What about the short brilliant life of Lieutenant Natasha Yar? Who didn't tune in to see that? Commander William Riker was amazing to watch, as he grew a beard and a conscience -- while still being able to keep up with the great Lieutenant Worf, the only Klingon (as yet) in Star Fleet!? Those of you out there trying still to wage the Star Wars - Star Trek battle for supremacy -- grow up! They are both inspiring stories in different universes. 159 of 185 people found this review helpful. Was this review helpful to you?